There was a select band of only 5 sailors today. Dave Williams had electrical problems and after some time spent with others helping to try and solve the problem, he opted to run racing for the morning. This offer was gratefully received by the assembled few. A+ rigs were used by all and with some rare exceptions in the stronger gusts, everyone coped well. The breeze was generally straight down from the clubhouse, but as usual had some large shifts and holes that could easily catch you out. Andrew Peter won having managed the conditions well and took 6 wins from the 10 races ending the day 10 points clear of second place. 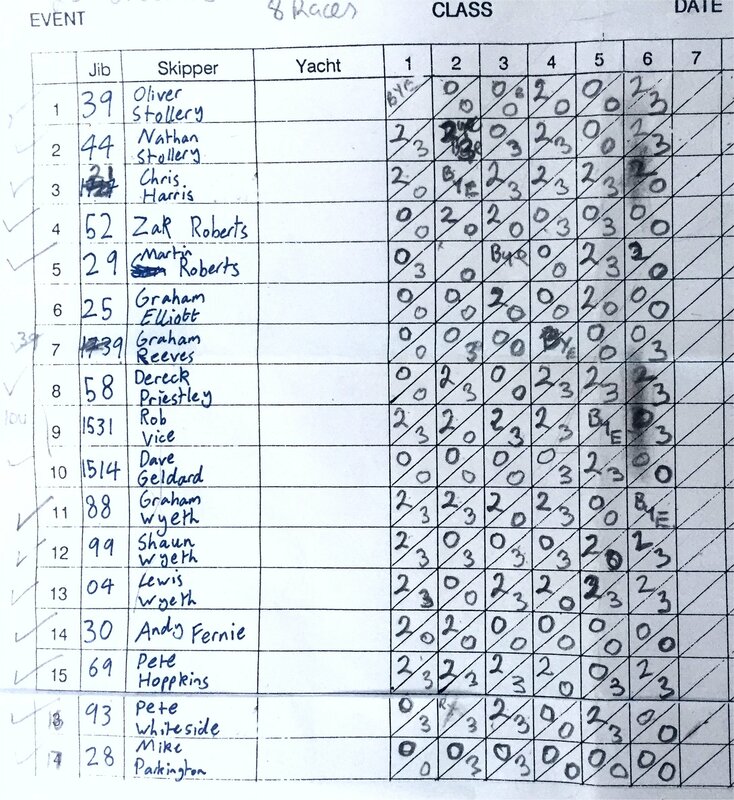 Here is the score sheet for Day 1, where the wind was light (3-5kts) in the morning session and slightly off from straight down the lake from the clubhouse. Later it became more fickle with large holes and significant shifts in direction.